Decision time! Who’s more adorable? The cute little fox – or the snuggly kitten? (It’s a fun twist on the old dogs vs cats, right?) If you can’t choose, no worries: adopt them both. As the girls in these stories find, they’ll each bring lots of joy to your life. Pearl the kitten may be a bit naughty, but she’s got enough spirit for two. Can she help her owner start to shine? And when a tiny rescued fox cub named Socks bonds with lonely Mia, can he patch up a quarrel between Mia and her friends? 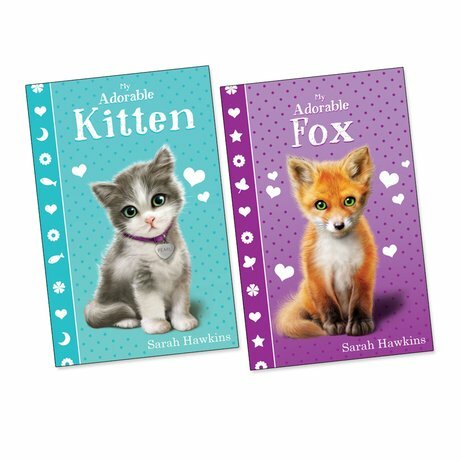 Snuggly animal fiction by the author of the RSPCA books: perfectly named and perfect inside.